Pierre’s great grandmother was born in Africa but sold as a slave and taken to Saint-Domingue (Haiti). His grandmother and mother were born as Haitian slaves. He had a sister Rosalie. Pierre was himself a house slave working on the plantation of the Bernard family but was educated by their family tutors. 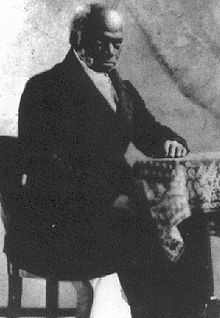 In 1787, during the slave rebellion in Haiti, the Bernard family emigrated to New York taking five of their slaves including Pierre and his sister. On arrival the Bernard family found Pierre a hairdressing apprenticeship; he excelled and became well known within the upper-class society of New York. He earned good money but didn’t forget his family or the poor. He paid to have his sister released from slavery and the education of various family members. In 1811, Pierre married a fellow slave. He also paid to have her freedom granted and together they embarked on a career of charity. They accepted his sister’s daughter as their own, fostered numerous children, opened a house for orphans and young destitute boys, organised shelter for refuge priests and destitute travellers and, sought employment through his many contacts for those in his care. He was even known to have crossed quarantine barriers, during a cholera outbreak, to nurse and bring food to destitute poor. Pierre died aged 85yrs. His day of remembrance is the 28th May. Pray for us that our hope and actions for equality and fairness will never cease.